I worked from home today so I missed the office party Mexican fiesta - which is a good thing. I did not need the temptation. I think I could've handled it but it never hurts to be on the safe side. I cooked dinner tonight for the family and didn't experience hunger or temptation. I baked chicken breasts, fried potatoes with onion, macaroni and cheese, and green beans. Everybody enjoyed it. I love cooking for my family. Weight: 226.2 / Total Lost: 14.6 lbs. Good job on the weight loss, it can be so hard. 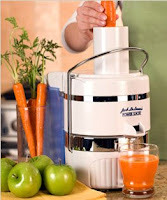 One of my favorite fresh juices is carrot, ginger and lemon.